When we say collaborative robots or “cobots,” we often refer to the robot arm. Of course, the robot arm is not able to pick parts, sense force, or detect objects on a work plane all by itself — it needs a helping “hand” to perform its tasks. We call these the end-of-arm tooling, with the most common one being the gripper. Grippers give the robot arm the ability to pick up parts to perform various tasks, including insertion and pick-and-place as well as machine tending. Grippers are as much part of the robot cell as the robot arm is. In collaborative applications, the gripper is responsible for handling parts in a safe and secure manner. 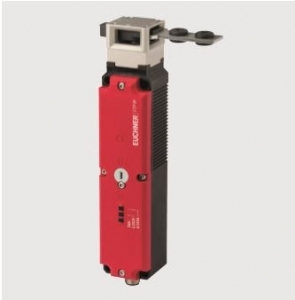 With the world’s first data transmission photoelectric sensor, the DDLS 500, which makes location-independent remote diagnostics possible thanks to an integrated web server, Leuze electronic sets new standards in terms of performance and transparency. The SITOP selectivity module distributes the load current across several 24 V DC load circuits and monitors them reliably for overload and short-circuit conditions. With common signaling contact or single-channel signaling, the SITOP add-on module is now also available as an NEC Class 2 version. This means each of the four outputs is itself limited to 100 VA in case of a fault, which eliminates the need for additional protection in the control circuits. The device meets the U.S. standard for safety and fire protection. 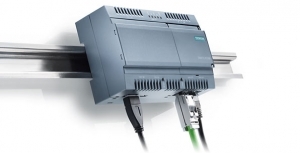 The SIMATIC IOT2000 is the reliable and open platform for collecting, converting and transferring relevant production data in the production environment. The device can be used as gateway between automation and the IT level all the way to cloud connection. This opens up a variety of options for easy implementation of modern production concepts as well as for existing plants and machines. 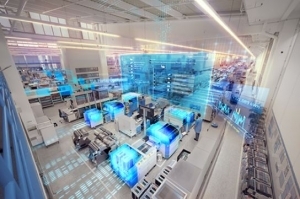 As part of Industry 4.0, networking of production and office IT continues to expand. Production data is collected and evaluated in the cloud to optimize production. 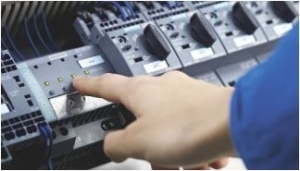 Networking of existing plants is a major challenge in this regard, because the machines from different manufacturers and on different technological levels often do not speak the same data language. The solution is often time-consuming and complex retrofitting in these situations. Siemens is expanding its engineering framework to include a range of new practical functions to shorten engineering times with Service Pack 1 for TIA Portal V14 (Totally Integrated Automation Portal). The main focus of the innovations in TIA Portal V14 SP1 is bringing openness to other Systems. This includes the standardized, bi-directional exchange of engineering data via AutomationML (Automation Markup Language) using engineering software such as Eplan, the TIA Selection Tool or other CAE (Computer Aided Engineering) Systems. Thomson’s “Tech Tips” short-form videos support design engineers who may face potential mishaps or simply want to ensure proper operation of their linear motion control components. Each contain easy-to-follow, step-by-step guidance in a concise, logical format. Thomson has recently added 21 new videos that deal specifically with their industrial linear actuators and precision ball screws. 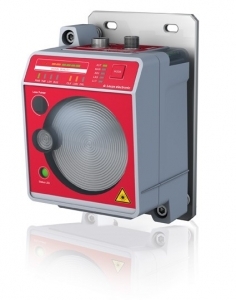 This month Carlo Gavazzi announced the new WM20 Three-Phase Power Analyzer, an exciting new product range targeted to assist manufacturers and end users in monitoring and managing escalating energy costs. 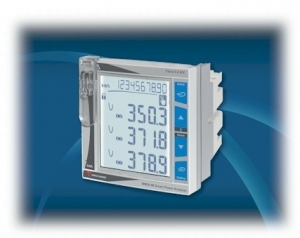 The WM20 is a modular class 0.5S (kWh) 3-phase power analyzer which can be used for single, two and three phase systems. It is capable of measuring most relevant instantaneous electrical variables, harmonic distortion, and energy generation or consumption. Harry Major Machine is a global provider of industrial production solutions and services for manufacturers in diverse industries. They specialize in the design and manufacture of custom automated parts handling systems, industrial parts washers, assembly machines and special machines for use in multiple industries. 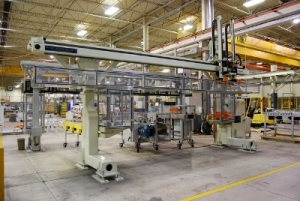 For its highperformance and cost-efficient robotic gantry system Harry Major Machine relies on SIMATIC Controller with Safety Integrated and SINAMICS S120 drive systems. The innovative robotic gantry system with Siemens technology is less expensive and more productive than comparable solutions based on CNC with more compact dimensions and a significantly smaller footprint. Extensive safety and diagnostic functions allow quick troubleshooting, which reduces maintenance costs and downtime. 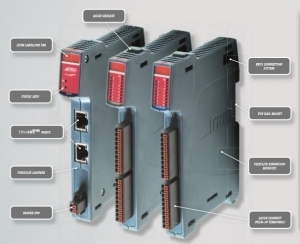 The EtherCAT Flexslice System is designed to let you do more! It offers fast flexible expansion for motion applications and can be used with Trio or 3rd Party Masters. Trio’s Flexslice input/output modules provide a robust, high speed and flexible solution for both motion control and general automation. EtherCAT cycle times down to 250µsecs are supported and the bus coupler uses EBUS technology to bring all the sub-modules on to the EtherCAT network with no degradation in performance. The Flexslice system makes available a selection of digital and analogue I/O terminals as well as motion modules with pulse + direction outputs designed for precise positioning of stepper and servo motors via suitable drive technology. The digital I/O modules have high-speed functionality. In addition, analogue modules and axis modules may be fitted to make a superbly tailored system that can be placed remotely from the master if needed.